Our last YA science fiction giveaway was so popular, we decided to do another one! Here’s your chance to win 3 cool new 2012 young adult titles with dystopian or post-apocalyptic themes. One lucky winner will receive all three books below, which includes two ARCs and one finished copy. This is the first book in a dystopian trilogy. The cover is so awesome–I love how non-traditional it is for its genre! The story sounds a little bit like a Battle Royale-type scenario, since a 16-year-old girl with violent tendencies must try to escape a remote island. I’ve always liked the “people stuck in a supermarket” type scenario; it seems like the place to hang out (well, other than the mall) if the end of the world comes. This one is packed with plenty of action, a little romance, and a lot of snarky—and a few dead–teenagers. As usual, this contest is open internationally to ages 13 and up. Just fill out the Rafflecopter form and leave us a comment for your chance to win! Our thanks to our friends at Disney-Hyperion, Simon & Schuster Kids, and Macmillan Teen for providing the prizes. The winner of the Amelia Anne is Dead and Gone contest is Jaime Lester! And the winner of Necromancing the Stone is Desiree Thompson! Congratulations, ladies. Stay tuned, because there are lots more giveaways in the weeks to come. I’d love to win this because I can’t get enough of dystopian and these look AWESOME! These are three books I’ve been dying to read but unable to get my hands on! Really excited about BETA and Monument 14.
ever since i read Divergent and Insurgent, and loved them,(except that cliffhanger and long wait till next book, lol) I got into Dystopian, and even better if they have some sci-fi or paranormal in them. :) These look really good. I also am a new follower, came here because Ed & Em’s reviews said your a blog they were inspired by :) SO here I am. These all look like amazing dystopian reads! Also, I agree with Shona – Forsaken does have a great cover. They all sound like amazing dystopian reads! I also agree with Shona – Forsaken does have an amazing cover. All those books are on my TBR list since I heard about them!!! Thank you so much for this amazing chance!!! I want to win because lately i’ve been into a lot of YA dystopian. That and I’m a sucker for a pretty cover. Because I’m super interested in reading all of these books and love dystopians! The Forsaken has such a beautiful cover, and Beta sounds so interesting! Dystopian is slowly becoming a favourite genre of mine! I’ve always enjoyed the 2 half-cousin scenarions of ‘nuts, the world just went to hell while I was grocery shopping,’ and ‘the world went to hell for a weekend vacation back in grandpa’s day, but never came back’. How do regular people cope with the massively unexpected? How does the human race evolve culturally and otherwise generations after a major world-wide event? Very cool stuff for writing. This is one of my favorite genres. ^.^ And I’ve been meaning to read Beta for quite a while now. Thanks for the giveaway! This is one of my favorite genres. ^.^ And I’ve been wanting to read BETA for quite a while now. Thanks for the giveaway! I want to win the post apocalyptic/dystopian pack because I just want to read dystopian! ever since reading the hunger games I think my love for dystopian has been constantly raising followed by Legend and then Shatter Me… it’s a WIN! Thanks for the chance! Thanks for the opportunity. I’m sucker of Dystopian novels. I love their futuristic setting. I love how the hero or heroine stand up against the wrongs and fight for the right. Dystopians are mirror to a possible future. I recently finished The Forsaken which I loved and I’m dying to read Beta. why don’t you make a blog about dystopian novels? I’d be interested. You guys are awesome! Thanks for another great giveaway! I’d love to win because I love dystopian books and I’ve had this 3 books on my wishlist. These are some great titles! I love Rachel Cohn’s book with David Levithan. I’m really curious and excited to read Beta! I love Rachel Cohn’s books with David Levithan, but those are all realistic fiction. And I love science fiction even more. Beta sounds like it will be awesome. This genre is definitely becoming a favorite of mine and I really want to read these books. Thanks for the giveaway! I’m a high school teacher and after I read all of these books, I will put them in my classroom library. Many of my students tell me theyve never actually read a book at the beginning of the year. I want to make sure they can’t say that again! All of these books look so so so good! I’ve been trying to get a hold of all of these books but can’t find them anywhere! We no longer have a Borders or any close bookstore, so it would be AMAZING if i could win these! I am the biggest book lover, and hope to have a library one day. I have over 800 books that i’ve read displayed in my room and would love to add these beauties to my collection! Such a fantastic group of books, they all look like great reads! Thank you for the opportunity to win, Wendy! Glad to see the blog is back in full force! This has got to be one of the best giveaways yet. Three amazing sounding (especially the first, so intriguing) Dystopian novels, I couldn’t ask for more (except, of course, to win this). Three amazing sounding dystopian novels, I couldn’t ask for more (other than of course, to let me win). I am new to the Dystopia genre, so it would be lovely to win these books to get me further into the genre. I want to win because Dystopian is surely one of my fave genre to read so it’s great going in knowing I’d enjoy them. I would love to win any of these books! I love distopia and these look great!! I LOVE dystopian. And I have heard such great things about The Foresaken and Monument 14. I would love to win them so I can finally read them. Thanks so much for the giveaway!! I love dystopian, I love YA, and these books sound great so of course I’d love to win! Dystopian is one of the few trends in the last couple of years that I’ve really been able to get into! (Fallen angels and vampires just aren’t my cup of tea.) All three of these books sound amazing and are keeping the genre fresh. Thanks for the giveaway opportunity! I love dystopians! My favorite books are usually of the dystopian genre, so I just say it’s my favorite genre. I love reading about the changed and futuristic worlds and comparing them to our current one. The Foresaken looks amazing!! Dystopian novels are easily my favorite genre. Thanks for the opportunity Wendy! Like everyone else I can’t get enough Dystopian right now. I’ve been seeing Mounument 14 and Beta everywhere and I can’t wait till they all come out. OMG!! I love DYSTOPIAN!! And, I’ve been meaning to read all those books!! Thank you so much for this AMAZING giveaway!! I want to win because I have been craving good dystopian lately! I am excited to read all of these books!! I would like to win, because I heard a lot about these books and would love to finally read them! I fell in love with Dystopian genre! I’m dying to read these books too! thanks for giving them away! Because dystopian lit is my FAVORITE genre. That and The Forsaken has been out of my reach and mocking me. Want want want. Awesome giveaway! I love dystopian and post-apocalyptic stories and how each author imagines the world differently. I’m eager to read these three novels, I’ve heard great things about each of them. Great giveaway! I especially want to read The Forsaken. Thank you for this AMAZING giveaway! Dystopian is my favourite genre hands down. I’ve been wanting to read these books for a while now, especially Monument 14 and The Forsaken! I’ve heard such great things about them! This is an awesome combination of dystopians!!! All of those books sound really good! Not to mention, I love me some dystopian. I never win anything! Maybe this will change my luck! All 3 of them sound great and I would love to read them! And also because these are the books I’ve been wanting to have. You really have a great giveaway! Thanks! I adore dystopian fiction books… also I’ve never had or read an ARC of a book before so it’ll be kind of cool to read a book that hasn’t even came out yet! I am pretty much obsessed with dystopian fiction so I would love this prize pack! Thanks so much for the giveaway! I would love to win because Dystopian/Post-Apocalyptic is one of my favourite genres! I would love to win this pack! I have had bad luck with picking dystopians lately. I’m just not that impressed by most but I still love to read them. Monument 14 is the one I am the most excited about. It seems like it has a great story and I hope it lives up to my expectations, whenever I get to read it. I’m dying to read this books!!! I have them all on my tbr list. I love this genre, and reading many great things about these books, makes me want them even more!! Thank you! I want to win this pack because I love the limitlessness of the genre. I have been hearing such great things about The Forsaken and Monument 14 that I just have to read them. Not that excited for Beta, though. Dystopian has become one of my favorite genres, all the stories are so fascinating and exciting, a completely different sociaty, rules and stuff! Would love to have the chance to read this books! I am DYING to read Monument 14 and Beta. I am trying to read more dystopians and post-apocalyptics because I’m loving them. Can I recommend you a post-apocalyptic? It’s an indie, but I received an ARC for a blog tour I’m participating in in September and went nuts for it. Angelfall by Susan Ee. It’s brought on from angels of the apocalypse, and it is certainly dark. I want to read mre dystopian books and these ones sounds great. Thanks for the giveaway! I confess I haven’t read a lot of dystopian books and I’m always curious to read more and read some new novels. Monument 14 was awesome! I would love to actually own it, rather than just borrow it from the library. All of these books are on my reading list! I would love to get my hands on these! Thanks for the giveaway! I’d love to win because- and this is a true story- I really haven’t gotten into much dystopia. Throw rocks at me, whatever, but I’ve only read the standard fare- Divergent, Hunger Games. I’ve never had the opportunity to read anything different. Hopefully if I win, I will! I absolutely love dystopian novels (my favorite genre!) and I can not wait to read these, especially Beta! I recently discovered dystopian novels but haven’t had a chance to read these and would love the chance to do so! I’m obsessed with dystopian novels and haven’t read any of these yet! All are on my TBR list! Dystopia has really grown on me lately, and these three have really been being talked about. Thanks for the chance! Those covers are beautiful and they would look nice tossed on my bed or couch after reading. Plus I’ve really wanted to read all the books you’re giving away! Thanks for the giveaway, Wendy. I can’t wait to read Beta and have heard good things about The Forsaken too. Do you even need to ask this? These are books. It is the enough reason for me to want to read it. Plus they are dystopian which is one of my favorite genre. And they have great reviews, so I want to read them too. I would love to read these! I love Dystopians and these three look great! Forsaken is on my to-read list & the other two sound great as well! Forsaken is on my to-read list & the other two sound great! I’m trying to read more dystopian novels. I have all three of these books on my must reads Beta being my number one. Thank you so much for the giveaway. I’ve had Beta on my TBR list for quite a while now, and owning one would be really cool! I don’t read a lot of Sci Fi and would like to try the other two books. I’d love to win because I love dystopian novels, they’re my favourite! And I’ve heard lots of good things about Beta especially. Thanks so much for the giveaway :). I want to win these books because the stories are striking. Also because I love those covers. These books sound amazing. I would love to win then. Thanks for the giveaway chance! 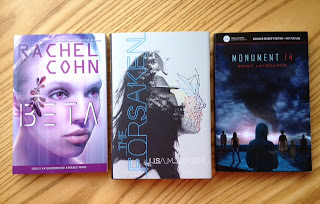 I haven’t heard of Monument 14, but I have been wanting to read the other two. I even requested (and was denied) to read Beta from Netgalley. Thanks for the opportunity to win! Aside from being an avid reader, book collector, and book reviewer for my own blog, The Bibliotaphe’s Closet, I not only LOVE books, but I love dystopian fiction!!! I would love to win this pack! Thanks for a great giveaway!! If the success of one book brings many similar books, then I much prefer YA works inspired by The Hunger Games (like these dystopian novels). Also, it’s great to see you blogging again! These look like an intriguing trio of books! I absolutely love dystopian; it is one of my favourite genres! These books have been on my to-read list for a long time so I would be delighted to win! I love dystopian fiction & all three of these titles sound like awesome reads. thank you for the fabulous giveaway! I’ve heard such great reviews for these books… they are definitely on the top of my wishlist! I’ve been dieing to read some of these books! Random comment: I really love the spine of The Forsaken. It’s so theatrical, as in like a movie poster or a marquee. I love dystopian novels and I have heard great things about the first two, and the third sounds really good! These look like a lot of great books, and I always enjoy reading great books. Dystopian is one of my favorite genres. 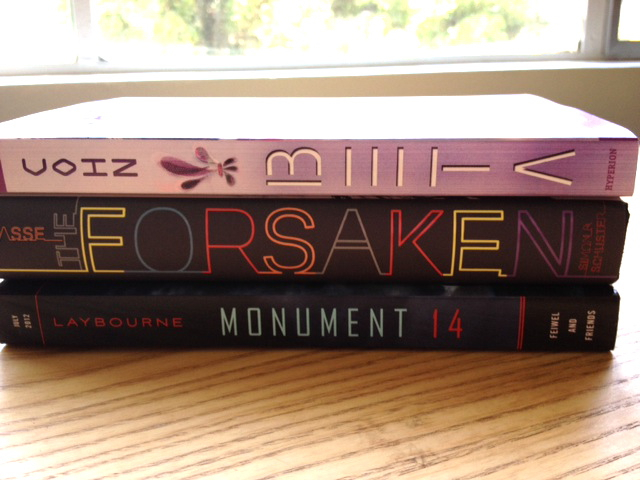 I’m particularly excited to read Monument 14, but the other two sound just as fantastic. I haven´t read a lot of Dystopian books, but what I have read (Across the Universe, The Gone series’ is fantastic and I want to read more! That is a mighty tasty looking giveaway. I’m particularly excited about Rachel Cohn’s new book, but the others also sound great. 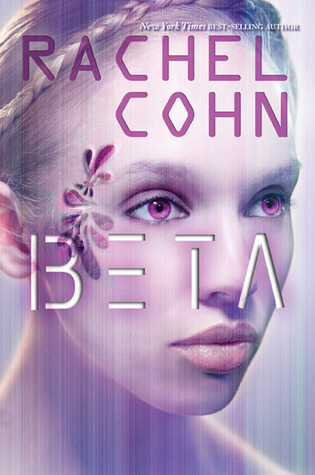 I’m particularly excited about Beta, because I’m a huge Rachel Cohn fan. But the other two sound mighty appealing as well. I am falling more in love with dystopian genre with every day. And all three of those sound really interesting. Oh, wow, Beta! I’ve been meaning to read this! I’m really excited with this one and the great thing is that its open for international readers. Wow another great giveaway. I’m always been a fan of Dystopian/Post-Apocalyptic novels so I will never gonna miss this contest. Crossing my fingers! Nonetheless I love your reading selections, and I can’t wait to pick up these three books! I love dystopian. No matter how devastating and serious the issue which often highlighted in a dystopian book, I just can’t seem to stay away from this genre. Of course the will to survive or make a breakthrough makes dystopian/post-apocalyptic reads awesome. I am just now getting into the whole dystopian genre (I know I’m a little late getting there, but I really am enjoying getting my hands on anything I can read with a dystopian theme). I’ve heard a lot of good buzz about these books and am eager to check them out for myself! I’m looking forward to Beta the most, bc I’m a fan of Rachel Cohn from her books w/ David Levithan. The other 2 books look really good too though. Thanks for the giveaway! I absolutely love dystopian novels! Hope I win! Dystopia is my favorite genre. Hope I win! I just love dystopian stories the most! These books seem totally awesome…I’d be psyched if I could win! Thank you for sponsoring this contest! I love dystopian novels and can’t wait for Beta. Although, the Forsaken looks good as well. I want to win this contest, because I am a huge fan of dystopian novels. I’m especially looking forward to Beta, but The Forsaken looks good as well. Thank you for sponsoring this contest! Ohhh!! I’ve heard interesting things about The Forsaken. I want to win because I love dystopian novels! And these three look awesome.. specially Beta :D Thanks for this giveaway! I want to win mostly because BETA sounds awesome! It’s because I always hear positive reviews about these books and then the cover is gorgeous… Thank you!!! Thank you for the giveaway, I would like to read the books because I love Dystopian books! Ohh, I’ve been looking forward to all three of these since I’ve heard of them. Thank you! I haven’t read a good Dystopian in weeks, so I’d love to win and get to read some awesome new releases. Forsaken is high up on my TBR list – I love books set on islands, isolated worlds etc. And I’ve been dying to read Monument 14! It sounds sooo awesome – dead people, action, romance, snark? WIN! Thanks for the giveaway! Sounds like a bunch of great reads! Thanks! I love dystopian YA. I tend to shy away from the contemporary and more “fluff” books. Dystopian brings in commentary and situations that just wouldn’t arise in a contemporary plot. I’m thrilled – these books are very much on my want it list. 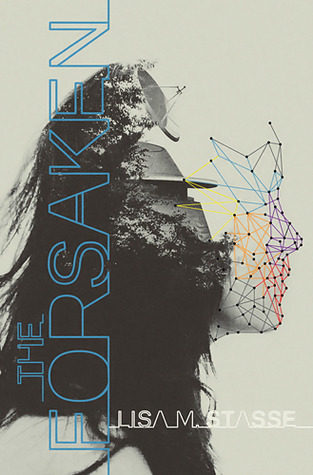 I’ve been eyeing The Forsaken because I love the cover! Also, I’ve read some mixed reviews of these books and want to form my own opinion of them. I love dystopian fiction, and most good dystopians these days seem to be YA, unless it’s zombies. I really want to read Forsaken!! I have Beta and I loved Monument 14, but Forsaken looks amazing :) Thanks for the giveaway!!! I’ve heard such good things about all these books, besides I’m a huge dystopian, post-apocalytic fan, I can’t wait to read them all. Thanks for hosting an awesome giveaway. I’d love to win because dystopians are my favorite books and I have not yet read these titles!! I have heard such ah-mazing things about The Forsaken!! It definitely looks like my kind of read. And Beta looks wonderful as well! I’m totally looking forward to reading those books. =) Thanks for hosting this fabulous giveaway!! I want to win because I want to read all of these books, but I don’t actually have any of them! They all sound so great, I mean, who doesn’t love a good dystopian? This is exciting! Especially new dystopian is something that is on my wish-list these days, so I would love to win these! i love dystopian and post-apocolyptic books! It’d be awesome to win these! The reason why I would love to win is because I’ve been really interested in Dystopian novels recently. They are always different and new nothing I’ve read so far is the same and I would love to add any of those books to my Dystopian collection. Thanks for the great giveaway! Dystopian has become my new favorite – I can’t get enough! I love dystopian books because even through the world is crappy , there is always hope. I think I would enjoy Monument 14. I love dystopian, this would be a sweet prize. I love dystopian, this would be a sweet prize! 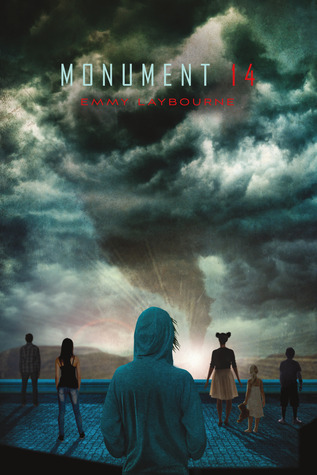 The Forsaken in particular sounds awesome, and I love Monument 14’s cover. Thanks for the giveaway! I am such a fan of dystopian! I love to see each author’s take on how the world we live in ends and how it ends up ~ great giveaway! I love hearing about new dystopian books, and Monument 14 is very high on my wish list, so I’d love to win this entire prize pack. Dystopian is my favorite genre. Mix in some sci-fi and it’s win. I’m a fan of the technical. One of my favorite non-YA that I read at such a young age in Andromeda Strain by Michael Crighton. Ive been hearing so many great things about these books!!! Thanks so much for a chance to win!! !